First: hang up your ugliest, most improbable sweater at the very center of your display (and, since we’re going for that run-down, super-cheap, down-on-its-luck-second-hand-store look, be sure not to wash your window first). 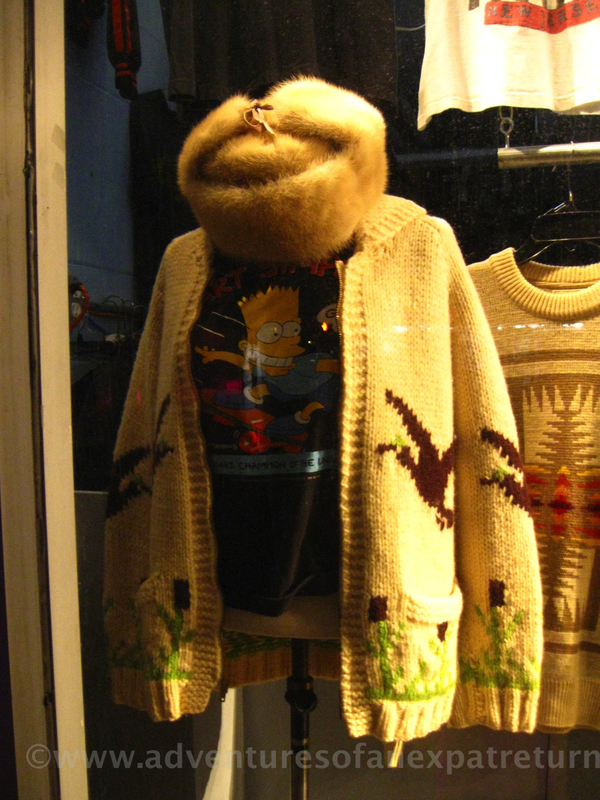 Second: Take a display dummy, your second-ugliest sweater and… need I say more? What? You’ve never heard of the ugly sweater craze? It started with Christmas sweaters (see the link below) but now it’s apparently becoming a year-round trend… in this store, anyway. This entry was posted in And Today We're Selling..., In Jest and tagged Christmas sweater, New York City, second-hand, Sweater, thrift shop. Bookmark the permalink.